Photo: iCare and ChildFund will combine their experience in delivering high quality education programs for children in developing countries. ChildFund Australia implements programs with a range of local partners in Cambodia, Laos, Myanmar, Papua New Guinea and Vietnam, and manages projects delivered by partner organisations throughout Asia, Africa and the Americas. iCARE has implemented programs in many of the world’s poorest communities and currently undertakes projects with partner organisations in Kenya and the Philippines. Both ChildFund Australia and iCARE were established in Australia during the 1980s in response to global child poverty. Both organisations take a holistic approach to their child-focused development activities, with projects covering education, healthcare, water and sanitation, nutrition, livelihoods and child protection. With significant expertise in the field of education, both ChildFund and iCARE prioritise increased access to education, high standards of school facilities and improvements in the quality of education for children in the rural communities where they work. In recent years, this has seen both organisations implement projects which have delivered new or improved school buildings and related infrastructure, teacher training in child-friendly learning methodologies, modernised educational resources such as libraries and technology, and the creation of new literacy and numeracy programs to improve learning outcomes for children. The formal transition is expected to take place on 1 July 2017, when iCARE will become a subsidiary of ChildFund Australia. 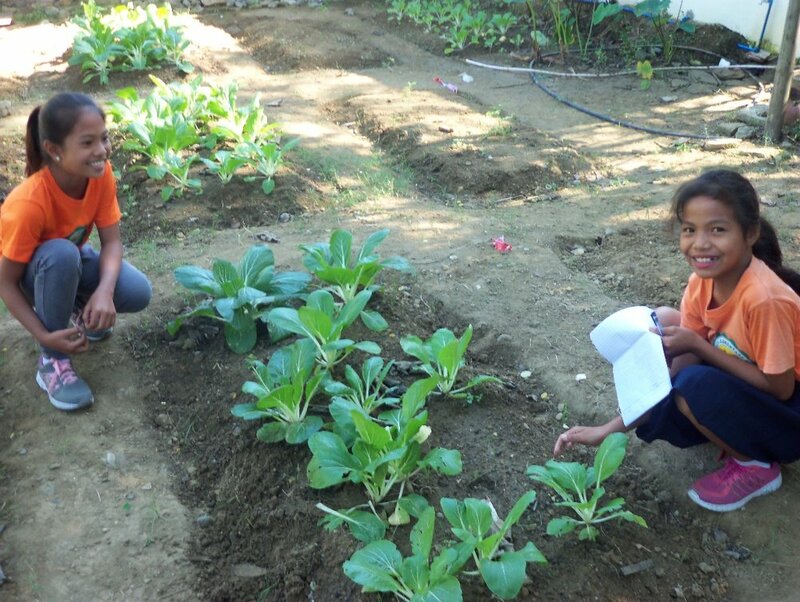 A report on iCARE's work in the Philippines from our Program Manager, Ronnie Alonzo, including his visit in January 2017 to assess the Adopt-a-School and the Heed & Thrive projects at the half way point of their implementation. An update on the successful IT project at Comprehensive College Kitekita, Uganda. Youth with Skills project,which is helping the Piave Youth Polytechnic (YP) to improve as a technical and vocational education school in the Piave community. I hope you enjoy it and see what a difference your support makes to the lives of children living in disadvantaged circumstances. At iCARE we are proud to support women in Africa and Asia to transform their lives through education. On International Women's Day, we honour the difference they are making to their lives, their children's future and their communities. iCARE’s visit to Canberra to meet with Philippines Ambassador Minda Calaguin-Cruz, Kenyan High Commissioner Isaiya Kabira and Ugandan High Commissioner Enoch Nkuruho. An update on the new “Girls Can Do I.T.” project in the Philippines. We thank those of you who have already made a Christmas gift. But it is not too late to contribute to our Christmas Appeal – You can make your gift online here. Do you still need some presents? Why not give the gift of education? Take a look at our ‘iCARE shop’ where you can see a selection of Donation Gift e-CARDS that will help educate children in some of the world’s poorest communities. Not only are they wonderful gifts – they are also 100% tax deductible. This Christmas we encourage you to give a gift of education for women like Purity and their children. Purity has had many challenges in her life, and now at the age of 38 is training to become a motor mechanic at the Piave Youth Polytechnic in Kenya's Rift Valley, which iCARE has helped to build and resource. When she was a young child living in a remote Kenyan village Purity's mother died. This meant she had to leave school to become the carer for her father and siblings. She grew up, fell in love, and married - only to be abandoned by her partner, to live as a single mother of two children with no support. When she lost her job serving petrol in the village garage, she might have accepted that her lot was to continue to eke out an existence and live in poverty. The single mother of two young children was abandoned by her partner with no support. But Purity knew that an education was the only way her children, Faith and Ryan, had a chance at a better life. So she was determined to give them the education she had missed out on. This meant leaving her children at home while she travelled a long distance to a larger centre, Piave in Kenya’s Rift Valley, to find a job. Instead, this decision led her on a path to her own education at 38 years of age. Now her goal is to have a successful job as a motor mechanic that will ensure she is able to support her children’s education and provide them with a better life. Although it is hard being separated from her children while she studies, Purity knows the outcome will be worth it. She is determined to set a good example to Faith and Ryan, and to other women in situations like hers. Being apart from her children is hard enough, but it is especially unbearable at Christmas time. Purity shows it is never too late to go to school. This Christmas please make a donation to provide a life-changing education for women like Purity and their children. Today as Australia recognises the important role of teachers, iCARE makes special mention of the wonderful teachers helping to transform lives through education in the programs we support in Kenya, Uganda, the Philippines and India. Thank you! Today iCARE launches its Spring 2016 Campaign to raise $10,000 for the Girls Can Do I.T. program in the Philippines as part of the Heed & Thrive project in the depressed urban area of Adelfa, Navotas. Under the project iCARE is supporting the Tanza Elementary School. Ten year old Marianne is a Grade 5 student at the Tanza Elementary School. Her dad earns less than $4 a day as a fisherman, but he is committed to his daughter receiving an education. Now girls like Marianne at the Tanza Elementary School are being supported to follow their dreams through the Girls Can Do I.T. project. Marianne is passionate about becoming a computer programmer. Without help Marianne would not be able to work on a computer in a clean school room. Without support she would have to save up two pesos to visit a cramped and poorly lit, smoke filled internet shop for an hour in her depressed urban area. Today our goal is to help 25 girls to follow their dreams. programs and software along the areas of Math, Science, Computers and Technology, and Languages and Arts. The program’s short-term goal is to provide fun technology and enrichment classes to 25 gifted girls enrolled in the school who have shown interests and aptitude in STEM courses. The program is focused on girls because more often than not, they are overlooked whenever an opportunity in Science and Technology comes up in their school. Today is the International Day of the Girl Child. Its a day to recognise much more still needs to be done to end the barriers that prevent girls receiving an education. Especially girls in some of the most poverty stricken regions in the world Why? Because education transforms lives. iCARE invites you to join us in celebrating the girls of the world! We invite you to take a look at what we do in India, Kenya, Uganda and the Philippines to help girls to thrive. Our programs support young entrepreneurs and mothers like Purity in Kenya's Rift Valley and budding IT specialists, like Dorothy in Uganda. They encourage science and technology for primary school girls in the Philippines and education for young Indian girls like Reddamma to overcome becoming child brides. General Manager, Miles Young and Program Manager, Ronnie Alonzo had an action packed trip to Darwin last week. Their two and a half day visit took in the 20th Barrio Fiesta organised by the Filipino Australian Association of the NT, meetings with the Honorary Consul of the Philippines to the NT Mr John Rivas, as well as attending Church services and catching up with iCare supporters. Our special thanks go to Dr Frances Booth, AM for helping to co-ordinate the visit and for her marvellous support of iCare and its programs that use education to transform the lives of women, children and youth in Uganda, India, Kenya and the Philippines. Here's Miles with some of our iCare friends and supporters in Darwin. Miles Young and Ronnie Dane Alonzo from iCare will be celebrating the 20th Barrio Fiesta 2016 with the Filipino Australian Association of the Northern Territory this weekend. iCare will be at the Fiesta on Saturday 3rd and attending Mass with the Filipino community on Sunday. Miles will also be catching up with good iCare supporters from the Top End, including iCare Ambassador Frances Booth who has been instrumental in getting the visit happening, as well as one of our wonderful supporters. We'll have some stories and pictures of the activities and events!